Our family recently welcomed a new baby. I am the sole breadwinner in my household. I recently bought a house. I will pay for my children’s college education. My family has a history of illness, such as diabetes or heart disease. I have trouble saving/investing money. If you checked any of these statements, you need life insurance to protect the loved ones who rely on you for their financial support. Imagine if you died unexpectedly. What would happen to your spouse, your children and other dependents? Would their standard of living or care slip significantly? Who would pay your children’s college tuition? Who would pay your mortgage and other debts? Would your business survive? With life insurance, these concerns go away. If for no other reason, get life insurance for those most important to you—your family. Get the right amount. Remember that the amount of life insurance you need is directly related to the dependency of your family. An eight-year-old child is more dependent than a 20-year-old already is in college. Plus, knowing how much coverage you need prevents you from paying for unnecessary insurance. Start young. Get your life insurance while you’re young. Generally, premiums are cheaper for younger people because they are healthier than the rest of the population. Also, buying young will enable a cash-value policy to grow in value. Live healthy. Don’t smoke. Tobacco users pay more than twice the premium as non-smokers. Also, don’t cheat because benefits can be denied if someone who claims to be a non-smoker dies of a smoking-related illness. Also, you can improve your insurability and get a better rate by routinely visiting your doctor and improving medical conditions, like high blood pressure. Know what life policy you need. 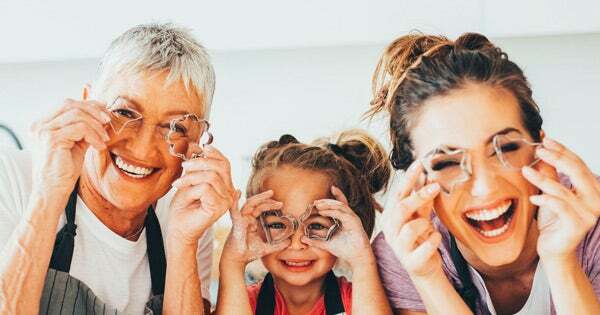 Learn the difference between term life and whole life policies, as well as that of a cash-value policy versus an annuity. There are products that serve several purposes and those that serve a single purpose. Know what your needs are first. Then you’ll know which coverage you should purchase. Dual incomes? If you and your spouse are breadwinners, get life insurance for both of you. That way, if either of you passes away, the family’s standard of living will not suffer. Prepay the premium. Ask the insurance company if you can pay your premium in advance, instead of monthly. This approach will save money on administrative or handling fees. Not all companies do this, but it never hurts to check. Want to save money, too? Some life insurance products—known as “cash-value policies”—are both a savings tool and a death benefit. These polices are ideal if you cannot save money. The cash value accumulates and can be borrowed or used for other purposes. Buy ‘bulk.’ Some insurance companies charge less for buying more. For example, it may be cheaper to purchase a $250,000 policy rather than the $230,000 you need. Don’t rely on employer-provided coverage. Many group plans limit the amount of coverage offered, which may not be enough for your needs. Additionally, you likely cannot take the life insurance with you if leave your job. Keep your coverage current. Major life events will impact the amount of coverage you need. Many events—such as having a child, getting married or buying a big house—will increase the amount of coverage you need. Others—such as children leaving the roost—may decrease the coverage you need. Losing you would be painful enough for your family. The right life insurance can at least alleviate concerns about the financial implications of your death.